Have you ever had one of those epiphanies when you suddenly realized that you were guilty of being a naïve parent? I remember the day that happened for me as though it were yesterday. It was Thanksgiving morning 2008. I was standing in my kitchen, peeling potatoes and chatting with my brother, BJ, who had come into town to spend the holiday with my family. BJ is the “favorite uncle”. Perhaps this is because of the fact that he goes out of his way to interact and engage with my kids, or perhaps because it is simply because they know that he cares. Months previous to this epiphany, BJ had encouraged me to become engaged in a new means of communication that was just emerging from the college world called Facebook. I had every excuse in the world not to do this. My excuses ranged from… I was too busy, I didn’t have any interest, I thought that social media was a waste of time coupled with the fact that I wasn’t going to allow my kids to “talk to strangers” online anyway. Sound familiar? The conversation that BJ and I were having that Thanksgiving morning centered around my 17 year old daughter, Amber who was a senior in high school. I prided myself on being actively involved in my children’s lives. I was aware of their needs, activities and who their friends were. “So I see that Amber has a new boyfriend” BJ stated. A new boyfriend… I thought. I didn’t even know she had an old boyfriend! “I saw it on Facebook” was BJ’s reply. It was like a bucket of ice could water had just been thrown in my face. Boy, did I suddenly feel out of touch! I didn’t even know Amber had an account (or a boyfriend). I then realized that my narrow-minded view and weak excuses were limiting my ability to parent effectively. It was due to my own ignorance that I was unaware of what was going on in my daughter’s life. I decided to overcome my barriers and jump into the online world of Facebook in an effort to better guide and protect my children. I quickly learned that although some teenagers are still in the process of developing the ability to communicate their feelings verbally, they have no problem expressing their feelings in writing, even if it is on a virtual wall. This understanding alone is reason enough for us as parents to step out of our comfort zones and traditional parenting styles to engage with our kids in their online world as well as in their real world. Yes, some kids may say that Facebook is their world and they don’t want us as parents intruding, but the reality is that our children do want us there. 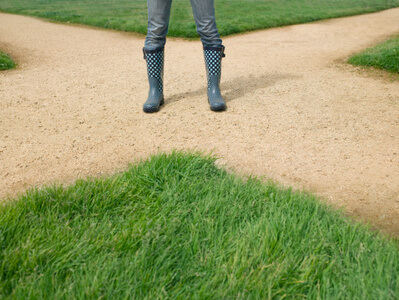 They want and need us to be at the crossroads of their lives, even when those crossroads are in the online world. By doing so, our children know that we will be there for them no matter where “there” is. To them, it simply means we care. Linda Fogg Phillips is the mother of eight active children ages 13 - 27. 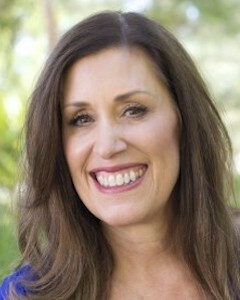 She is the founder of Family Health 360 in addition to being the Facebook expert for parents and educators. Linda is featured bi-weekly on Fox and makes frequent guest appearances on ABC, CBS, NBC and CNN.